Is there truly one answer to that question? As a mom, I feel that I could make an endless list of things that matter most. Everything must be done. Now. Immediately. And with perfection. Prioritizing the things I do and how I spend my time would be practically impossible. Everything remains urgent. Plural. Fluid. Mounding. You see, this season of life has me doing a lot of thinking. To be honest, this season of life has only just begun to rise out of a very dark place and into a place of stability. I did not realize that I had allowed myself to tail spin into a pit and I certainly began to sound a lot like King Solomon. and really, it is all meaningless—like chasing the wind. I never wanted to grow up and be a house cleaner. A maid. A babysitter. A cook. A dishwasher. A chauffer. An accountant….. I felt like I was waking up everyday to do all the things I hated and never wanted. I went searching for new hobbies, new talents. I attempted to start things that I thought would bring purpose to who I was as an individual. Nothing filled the void. In God’s providence, He shut each door. He was gentle with me, but I hit rock bottom hard. It took me awhile to see where I had landed. It was not a good place. Isolated. Hopeless. Apathetic. Empty. I had lost my North. My hardwiring was twisted and misfiring. 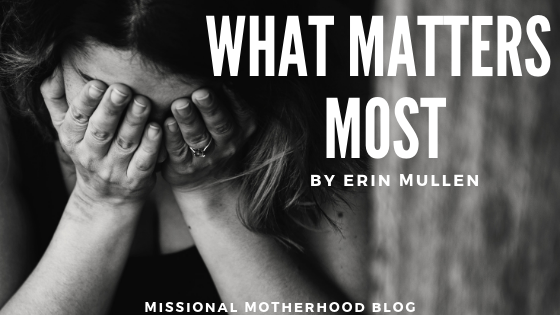 At that point, what mattered most was surviving one day at a time, but the cluttered house, mounding laundry, and needy children made surviving…well, overwhelming. I was needed, but I was paralyzed and dried up. The Lord, in His great mercy, placed stepping-stones in my path. Looking back He was active. Present. Gentle. First, He gave me a podcast where I got to hear Tommy Nelson’s testimony of his struggle with depression. In it he mentioned his book, Walking on Water When You Feel Like You’re Drowning, and Charles H. Spurgeon’s, Evening and Morning. Two day shipping and the reading began. Next, He gave me the strength to be honest and reach out. I knew that bringing my situation into the Light and through the support and prayer of the Body of Christ, mentors, and, yes, even a therapist, I believed the grip that had left me weary and void would lose it’s power. When I sat back and compared my list, the list of things I could control was straight-forward and even gave hope for a peaceful family life. Not very many days later, while listening to a sermon by Matt Mason, the Spirit spoke, bringing clarity and truth. It was like my list of “things I can control” had the life-giving Gospel breathed into it. and all these things will be added to you. The overwhelming aspects of my life had been my focus. I had let routine and results define my reality. I was seeking out the wrong things and left the uncontrollable in charge of my well being. We have a world (even a Christian culture) that is saying “Girl, pick yourself up” …“Girl, all you need is you”… “Girl, you can have it all.” But my willpower, resolve, dreams, and talents could not lift me out of the pit I found myself. If those things were the answers, then there would not have been a need for Jesus. Dear Momma, “it is God who works in you to will and to act in order to fulfill his good purpose” (Philippians 2:13). What matters most should point us back to the eternal reality that seeking God brings us all we need in this life and the life to come. If you have lost your way, He is near. If you are empty, He brings abundance. If you want to just give up, He will never let you go. He is holding on. Listen below to King of My Heart by Sarah McMillan. It speaks to me every time. Erin Mullen is the wife of her college sweetheart, James, and the mother of three beautiful and energetic preschoolers, Addison, Levi, and London. She is a stay-at-home mom who is daily walking through the ups and downs of discipling her children in the fear and knowledge of the Lord. 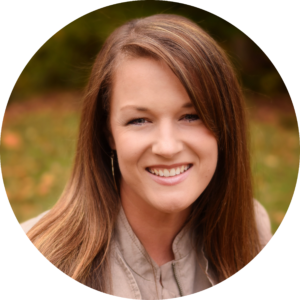 She has taught violin for 11 years, led small groups in her church’s women’s ministry, served on the leadership team for her church’s satellite campus, and played weekly in the worship band. Most people do not know that she is also a very talented and creative wedding florist and photographer. She and her family have recently relocated from Memphis, TN to Birmingham, AL where they are working through what life in a new city brings. One of the things she looks forward to the most about being in a new city is the opportunity to disciple a new group of ladies through chronological Bible study. She experiences no greater joy than digging in and processing through the depth God's Word brings to a believer's life. Erin, threat was beautifully written and beautiful. Thank you for letting us all in on the struggle we have all felt. Erin, thank you ! The struggle is real, even for us older moms! So many life changes, endings, etc! Praise the Lord, there are also new beginnings too! Love your honesty .